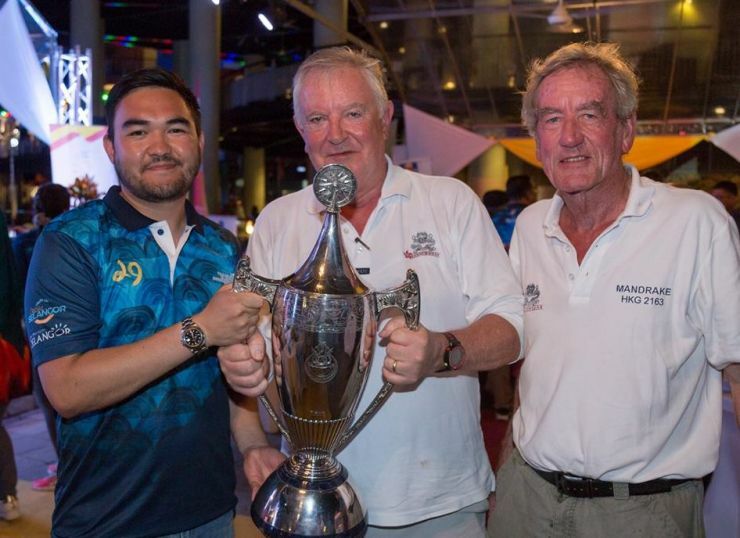 HRH the Raja Muda of Selangor with the Raja Muda Cup, and this year's class 1 winners; Fred Kinmonth and Nick Burns. Three cheers for Mandrake who have now won the cup 3 times with 3 different boats, just beating Windsikher, who were aiming for the very first 4-in-a-row win. Windsikher stamped their authority over their fellow 52+ class trio. Janda Baik flew home to their first win of the Jugra Cup. full results on results page.